WAM CROWNS THREE: The sixth rendition of the Winter Activation Meeting drew 44 die-hard CDW fans including eight rookie attendees to the Days Hotel in Timonium, MD for four days of two-player action in a wide assortment of card driven games. The action generated three full-fledged champions in Twilight Struggle (Marvin Birnbaum), Paths of Glory (Tom Drueding), and 1960 (Chris Byrd) and a host of open gaming opportunities in other CDWs. As usual, players kept busy between rounds of the laid back schedule by playing in other ad hoc events, with the average player entering 3.5 events over the course of the weekend. In addition to the top three, players also avidly played their favorites among five other tracks--with Wilderness War, Hannibal, We The People,	and For the People holding at levels similar to 2007 but unable to break into the wood column, while the March Madness pickup event grew in popularity. A handful of other games graced the tables as well, especially as players were bumped out of their plaque hunts. In the end, Marvin Birnbaum proved the top Laurel scorer with 68 thanks to his win and a second place finish in 1960. He was followed by Chris Byrd who logged 54 with his win and a second in POG. Tom Drueding netted 40 for winning POG and Stephen Brooks added 37 by scoring in all three. A detailed report on all the action at WAM can be found at	http://www.boardgamers.org/specific/wam08.htm and updated laurel totals for the tournaments are posted on their respective results pages at	http://www.boardgamers.org/yearbook/. FINAL CALL FOR GM RESERVATIONS: All GMs are reminded that their event "reservations" for the WBC events they ran in 2007 expired on Jan. 1. To retain GM status of your event, you must submit a new event form at http://www.boardgamers.org/forms/EventForm.htm and renew your membership. 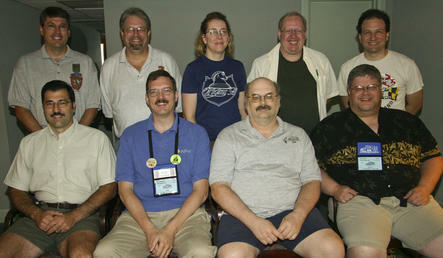 Prospective Game Master volunteers are asked to submit their event forms for WBC 2008 now. Many openings are listed on the Orphans Page at http://www.boardgamers.org/wbc/orphans.htm. Any event listed as OPEN needs a GM commitment by Feb. 28th or it will not be held. Current openings include: Acquire, Advanced Civilization, ASL, Amun-Re, Battlelore, Brawlin' Battleships, Formula De, Galaxy, Gettysburg, Medici, Memoir '44, Napoleonic Wars, Panzerblitz, Panzergruppe Guderian, Risk, Saint Petersburg, Settlers of Catan, Stockcar Championship Racing, Superstar Baseball, Ticket To Ride, Twilight Struggle, Wellington, World At War, Monty's Gamble, Sword of Rome, Union Pacific, War of 1812, Wooden Ships & Iron Men, Waterloo, Fate of France, Cuba, and Race For the Galaxy. Prospective GMs are urged to reread the newly revised GM Guidelines at	http://www.boardgamers.org/gmguide.htm paying particular attention to the new formats for multi-heat events which have been modified since the prior distribution. FINAL CALL FOR BoD NOMINATIONS: All BPA members are hereby notified of their right to nominate members for the three Board seats whose terms expire at the next WBC. To appear on the ballot, a member must be nominated in writing by at least three members; one of which must be himself/herself. Nominations must be signed and received at BPA, 1541 Redfield Rd, Bel Air, MD 21015 no later than February 28 to be eligible for election in that year. NOTE: Email nominations are NOT acceptable, nor can a member nominate more than one member for the Board. When contemplating nominations, members are urged to consider that the BPA conducts most of its business by email and needs Board members who are able and willing to offer their time and skills to the organization in a timely manner. Board members should be considered more for their ability to contribute to the running of a successful company than for their attachment to any particular game or genre. Besides forwarding a signed nomination for himself/herself, each nominee should submit by March 1 a statement not to exceed 100 words summarizing what they can contribute in service to the Board of Directors of the BPA. 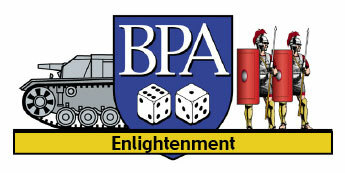 The nomination form is on line at	http://www.boardgamers.org/bpanom.htm. JAPAN BOARDGAMING CHAMPIONSHIPS: Our Titan players will remember Hisanaga Masahide and his friend Tabei Akihisa who competed in the 2007 WBC while travelling from Japan. "Hide" was so impressed, he promised to start a similar competition in Japan and reports he has done just that. Scheduled right after WBC, the Japan Boardgaming Championships will occur Aug. 13 - 17 in Olympic Center, Tokyo. Hide anticipates 50 events and as many as 1,000 attendees. We wish him well. Contact Hide at hisa@gamerent.net. HAMMER OF THE SCOTS: The second PBeM tourney of Hammer of the Scots is in the books. 30 players vied for dominance of the Scottish Nobles. 28 games were played on a website that handled the cards and the random draws of the blocks. The English won exactly half although the Scots dominated the last round with George Seary leading the way for the clans as he added the PBeM crown to his WBC trifecta of three straight HOS titles. Common perception paints the Scots as the underdogs but tournament statistics do not back that theory. The other Laurelists were Suzanne Tuch, Bill O'Neal, Hank Burkhalter, Ray Freeman and Paul Barrett in that order. New HOS laurel totals are posted at http://www.boardgamers.org/yearbook/HOSpge.htm. BITTER WOODS: The latest version of this PBeM Tournament has entered the Semi-Final round with Steve Likevich opposing Buddy Sinigaglio while his dad, Bruno Sinigaglio takes on Bill Morse in the other semi. Could a father-son Final be in the offing? SHIFTING SANDS: The first round of the PBeM Tournament was completed in January. Although everyone bid for the Allies with an average bid of 1.76, the Axis won 13 of 17 contests. Of the games that went to the end, we saw Operation Herkules three times and Malta Victorious once. For further details check out the website at http://home.mindspring.com/~drueding/shiftingsands/. MARCH MADNESS: The Sweet Sixteen is now complete in our 5th running of e-mail March Madness. Meanwhile, there are five teams already waiting in the Elite Eight, and Bruce Monnin’s NC State 1983 just defeated Jim Gutt’s New Mexico State 1970 squad to be the first qualifier for the Final Four. Check out the updated bracket at http://www.nktelco.net/bdmonnin/mm-brack-2008.htm. HERE I STAND: On Jan. 25th the Here I Stand PBeM Tournament finished Heat 2 of Round 1. Of the nine games played in Heat 2, the Ottoman were victors in two, the Hapsburgs in two, the Protestants won four, and Dave Cross secured a rare Papal victory. The big winners in Heat 2 were Dave Cross and Pawel Jarosz who each won their second game to claim the top two seeds going into Round 2. The most impressive preformance though goes to Scott Burns whose Hapsburgs were trailing in his Heat 2 game through 2.5 turns and blitzed his way to victory with 27 VPs in the last half of the final turn. Scott's 27 VPs was just enough points to get him into the 2nd round. Round 2 match ups are currently being organized amongst the top 18 scorers from Round 1. For further information be sure to check out the Tournament website at http://home.comcast.net/~ebeach/HISBPATourney2007.htm. http://filebox.vt.edu/users/todw/mgm/pbem08/mgmgpbem.html Tutorials are available for newcomers and late signups will be allowed on a case-by-case basis. Email the GM Tod Whitehurst todw[at]vt.edu to enter. Last updated 2/12/08 by kae.